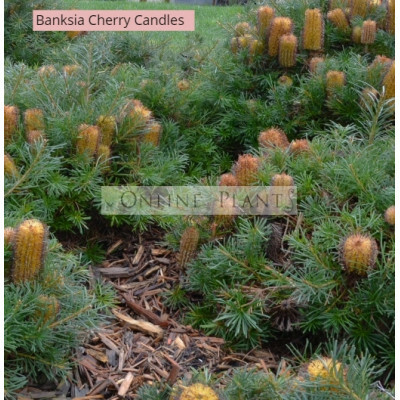 Banksia Spinulosa 'Cherry Candles' is a dwarf Australian native shrub with golden red flowers in a comapct 'cherry' style. 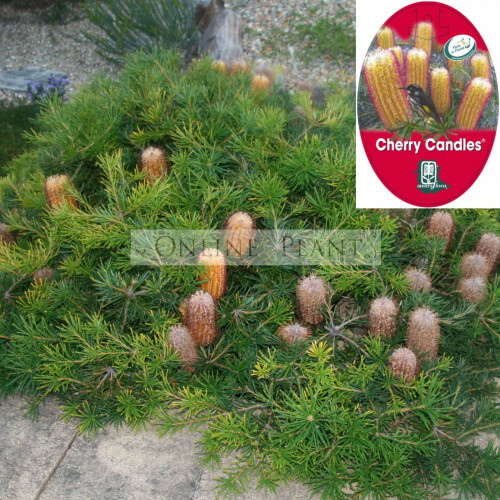 Its parent plant is the popular 'birthday candles' Banksia. At maturity it stand .5mt tall and can be 1mt wide. Flowers in Spring and summer, like all Banksia. Consider removing the spent flowers to encourage longevity of the flowering season. Plant in a well drained almost sandy soil. In Full sun. Tolerant of frosts, droughts and coastal conditions.